Finding great offers is easy. Just click for great Five Star deals. Five Star Ford of Plano. Welcome to Sam Pack’s Five Star Ford of Plano. Our dealership offers a big selection of new and used Ford cars, trucks, vans and SUVs for sale. Five Star Ford is known for having some of the best deals on new Ford and certified used vehicles. Search our Dallas Ford inventory, schedule a test drive, and find current Ford lease and financing specials near you. See our opening hours now for sales and service. Visit our nearby Ford dealership today to find special offers on new and used cars. Sam Pack Five Star Ford is a certified used Ford dealer serving the Dallas, DFW area. We offer an expansive certified Ford inventory, including popular pre-owned Ford models: Ford F-150, Escape, Edge, Explorer, Mustang, Focus and Fusion. Certified used Ford vehicles are put through a multi-point inspection by an ASE Technician. 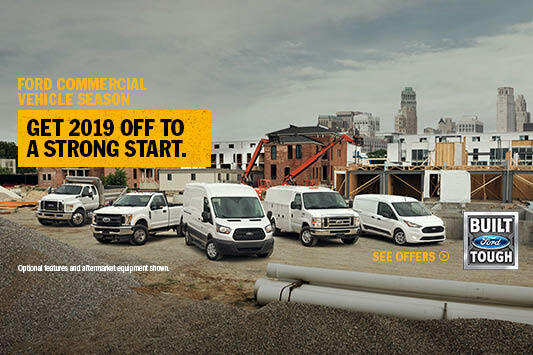 Visit our nearest Ford dealer showroom to see our inventory of used Ford trucks, cars and SUVS, including our best deals on cars for sale under $12,000. Five Star Ford of Plano works with all credit types, including bad credit car loans. The finance professionals at our dealership believe they can get auto financing approval for just about anybody. Be sure to ask about our second chance finance opportunities. You can get pre-approved today on a new Ford lease or used auto financing at our Plano Ford dealer. We can help you buy a Ford with bad credit or no credit at our dealership near Dallas, TX. Our Plano Ford service department is staffed with ASE Certified Technicians to provide all types of Ford service, including oil change, brakes, tires, batteries and more. 5 Star Ford of Plano also employs Ford Power Stroke Diesel Master Mechanics to repair the diesel engine in your Ford F-250 Super Duty, F-350 Super Duty or F-450 diesel truck. Check our Ford dealer coupons and service specials in the Dallas, DFW area. The Ford Parts department at Five Star Ford of Plano has a huge inventory of Ford parts in DFW. If we do not have parts in stock, we have immediate access, usually in one business day. We also offer the full line of new Ford accessories including custom wheels, mood lighting, rear seat entertainment center, and more. Use our online parts order form. Sam Pack’s Five Star Ford Dealership serves: Dallas, Plano, Wylie, Garland, Grapevine, Rowlett, Sachse, McKinney, Richardson, Frisco, Fort Worth, Irving, Arlington, Carrollton, Mesquite, Keller, Lewisville, Grand Prairie, Euless, Denton, Bedford, North Richland Hills, Allen, Farmers Branch, Flower Mound, The Colony, Coppell and nearby areas in North Texas.